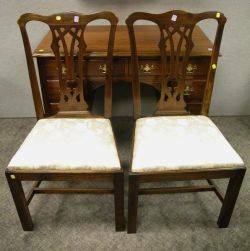 Two matching mahogany wood framed armchairs in Chippendale style with scrolled foliate decoration and with pierced back slat. 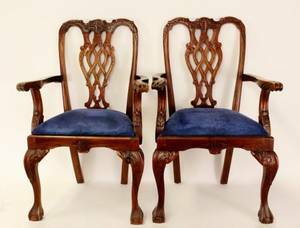 Armchairs with blue fabric upholstery on seats above shell form decoration. 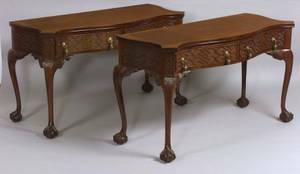 Front legs with ball and claw feet. 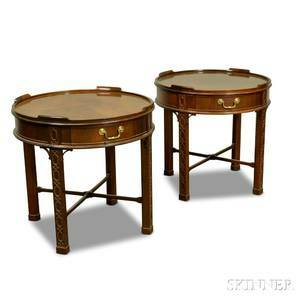 Height 41 inches, width (across arms) 24 inches, depth 19 inches. Seat to 19.5 inches. 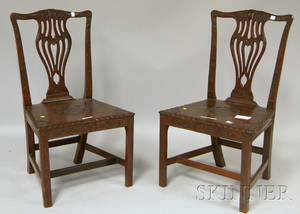 Pair of Colonial Revival Chippendale-style Carved Mahogany Side Chairs. 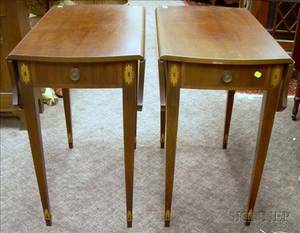 Pair of Bill Chalpara Chippendale-style Mahogany and Cherry Side Chairs. 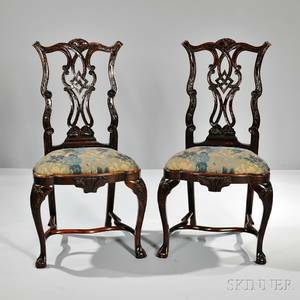 Pair of Bill Chalpara Chippendale-style Carved Mahogany Side Chairs. 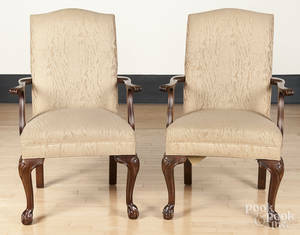 Pair of Ethan Allen Chippendale style mahogany open armchairs.